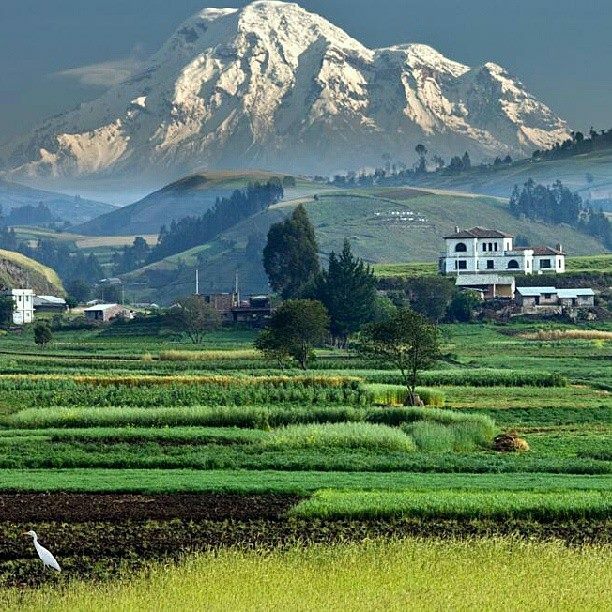 This is Chimborazo (Cheem boh RA so), the highest peak in Ecuador at 20,702 feet (6,310 meters). It is located in the Andes Mountains about halfway between Quito and Cuenca. I don’t know the source for this image, but it is so beautiful that I felt compelled to share it.